English dramatic and musical entrepreneur; born in 1793; died in London Dec. 6, 1856. 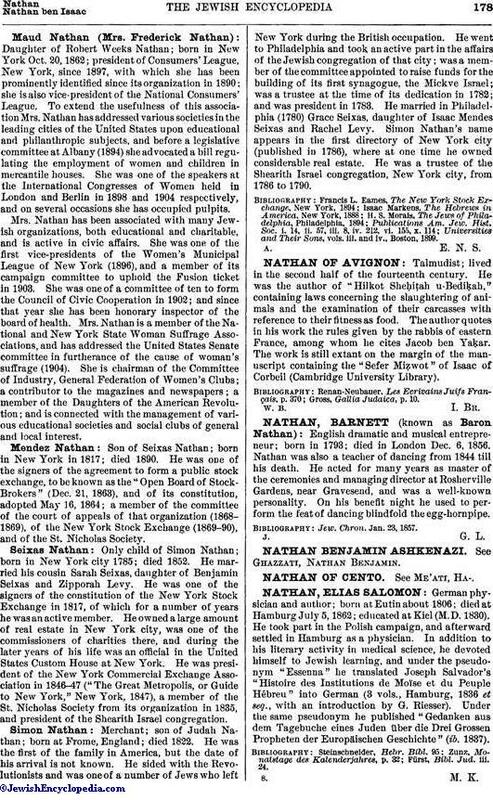 Nathan was also a teacher of dancing from 1844 till his death. He acted for many years as master of the ceremonies and managing director at Rosherville Gardens, near Gravesend, and was a well-known personality. On his benefit night he used to perform the feat of dancing blindfold the egg-hornpipe. Jew. Chron. Jan. 23, 1857.